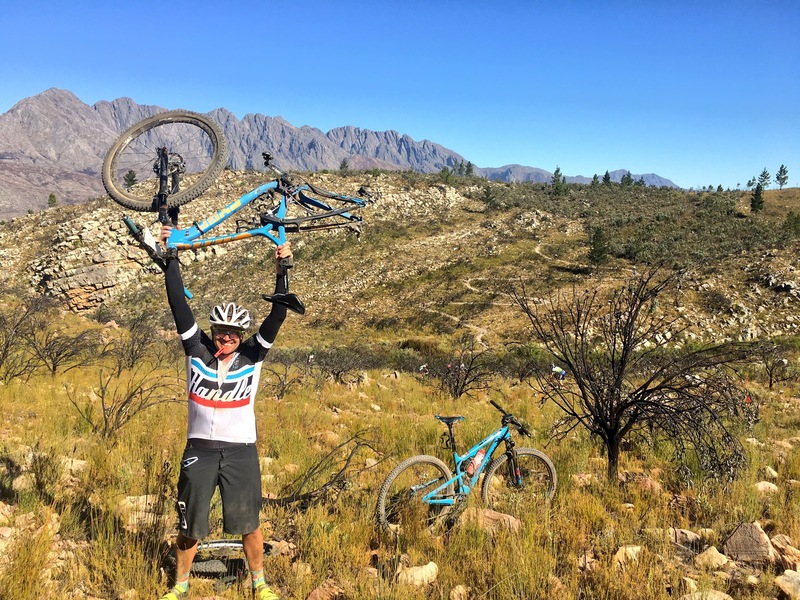 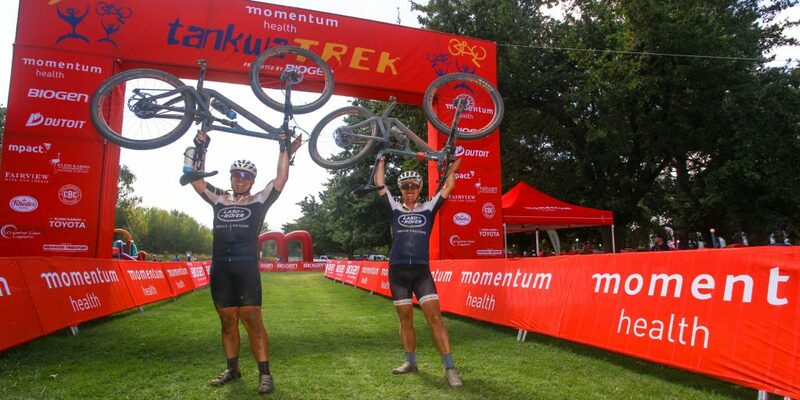 John Smit and Shane Chorley celebrate finishing the Momentum Health Tankwa Trek, presented by Biogen, by performing the Tankwa Lift on the finish line. 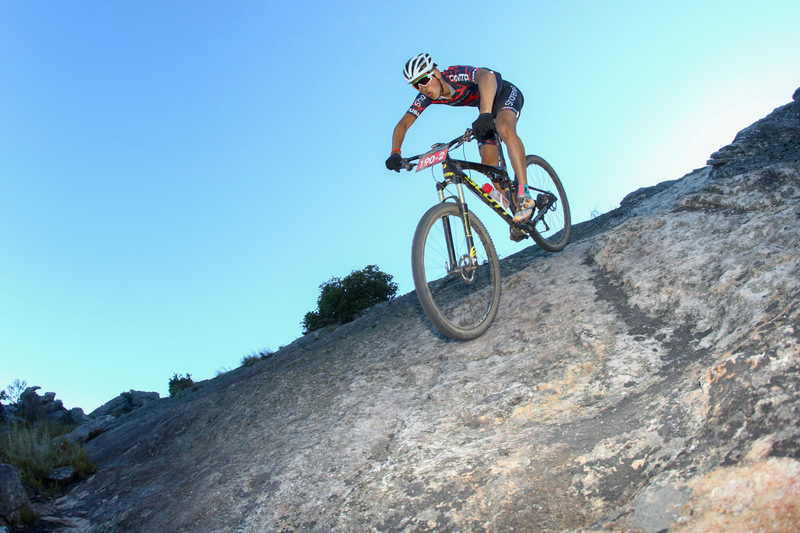 All photos by Oakpics.com. 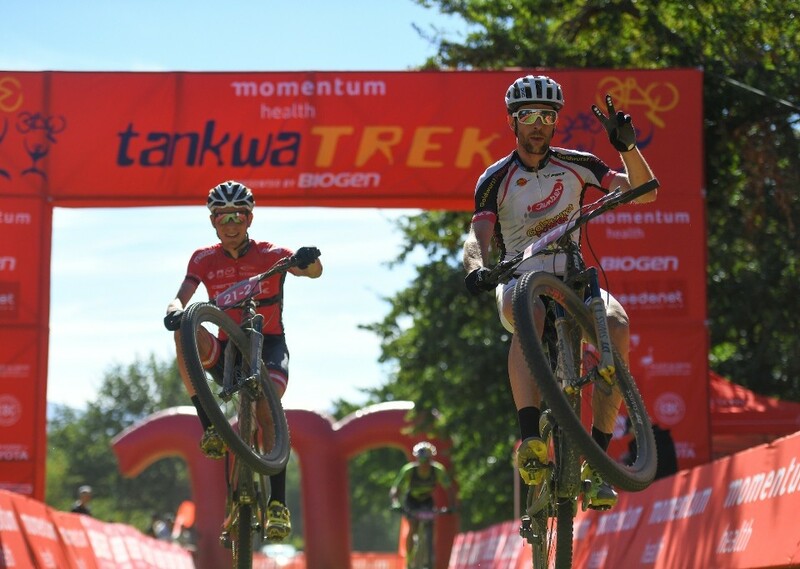 Check out the best of Oakpics‘ images from the 2017 Momentum Health Tankwa Trek, presented by Biogen, right here. Or view all their images on Facebook in their daily albums. 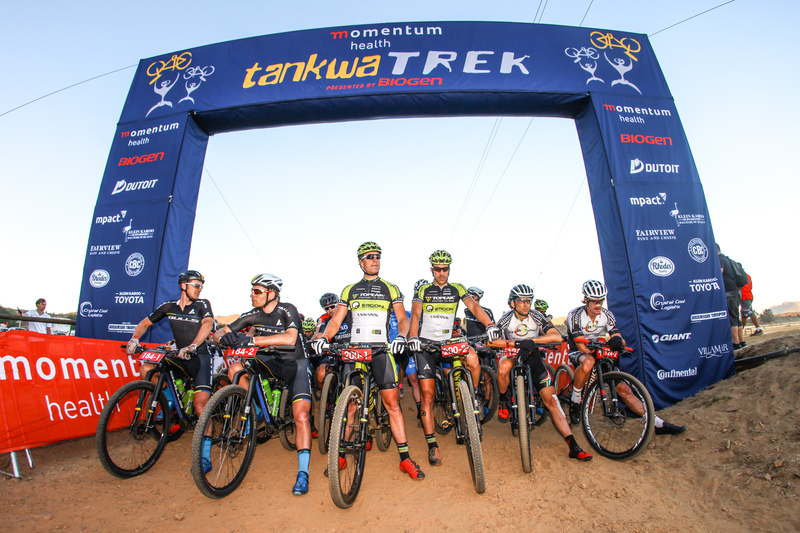 The UCI Elite Men’s field, including from left to right Karl Platt, Urs Huber, Kristian Hynek, Alban Lakata, Christoph Sauser and Sam Gaze, line up for the start of the 2017 Tankwa Trek. 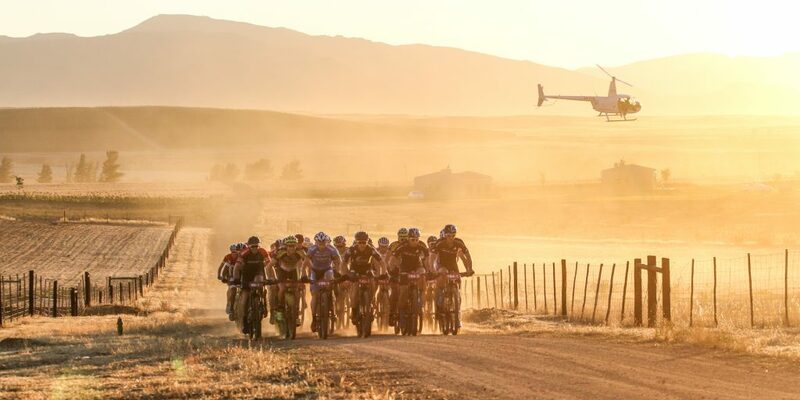 Riders cross the dusty farm roads of the Koue Bokkeveld during Stage 1 of the Tankwa Trek. 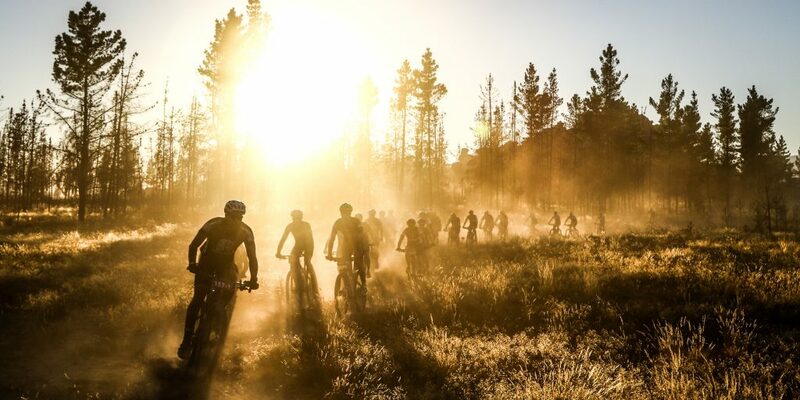 Riders emerge from the dust and the pine plantations during Stage 1 . 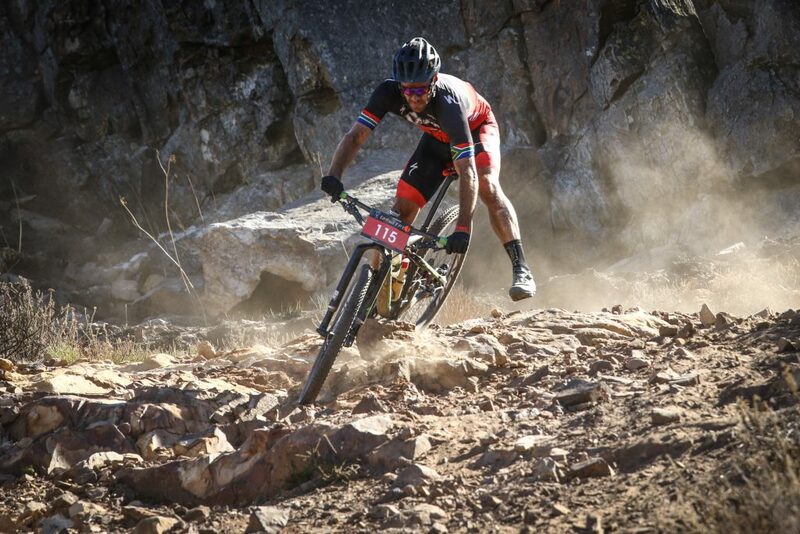 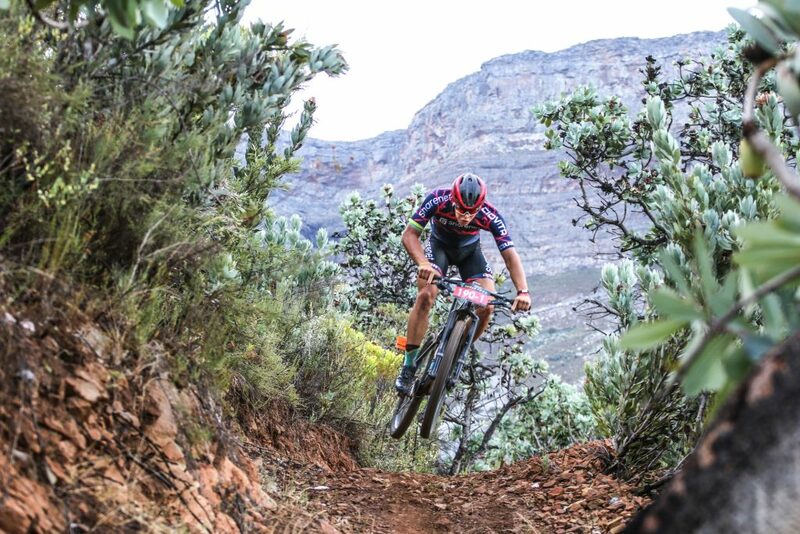 Investec-songo-Specialized rider, and Under 23 Cross-Country World Champion, Sam Gaze leads the UCI Elite Men’s field through the boulder strewn trails of the Witzenberg Valley. 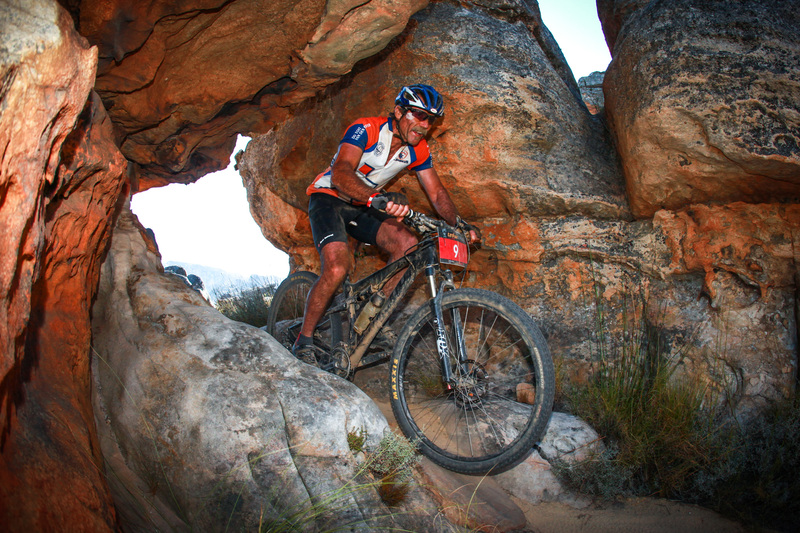 Dorn Vinzent descends one of the near vertical Witzenberg rock slabs. 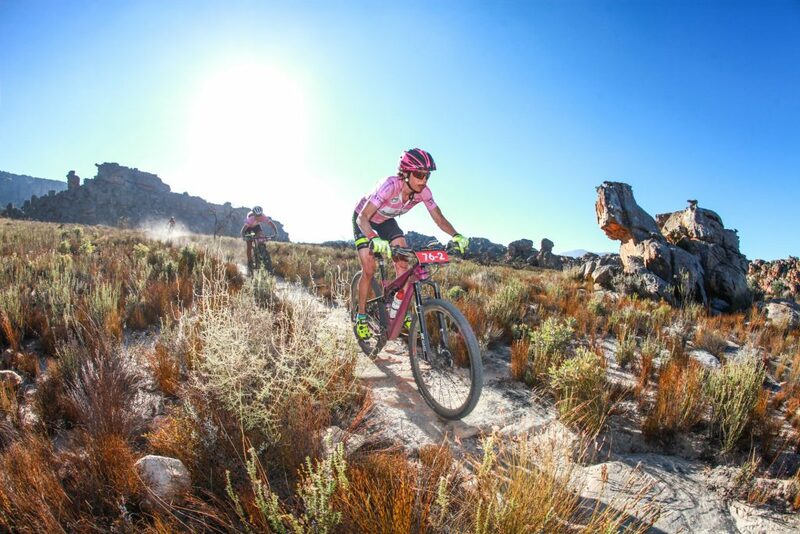 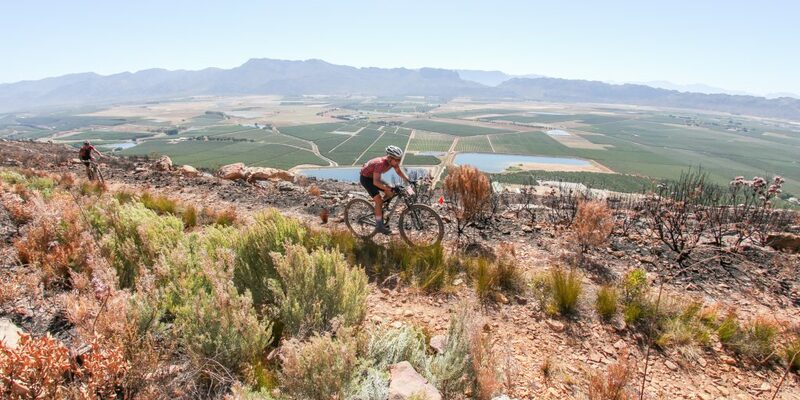 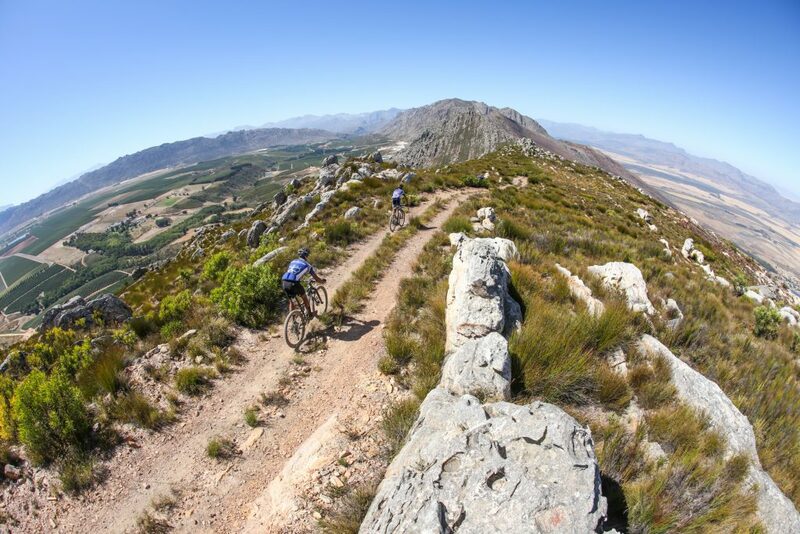 Riders traverse the Witzenberg Mountains ridgeline with the Witzenberg Valley to their left and the Tulbagh Valley to their right. 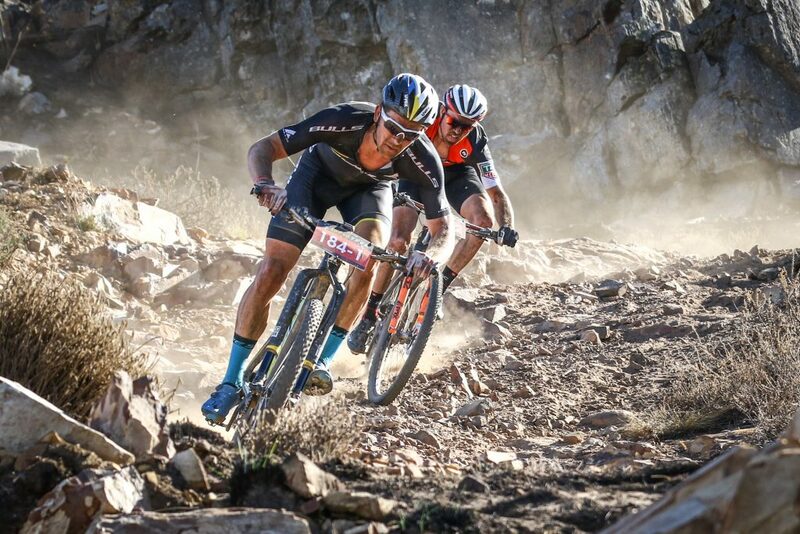 Matt Osborne and Nico Van Zyl crest the climb to the highest point on the Stage 1 route, with the orchards of the Witzenberg Valley floor far below them in the background. 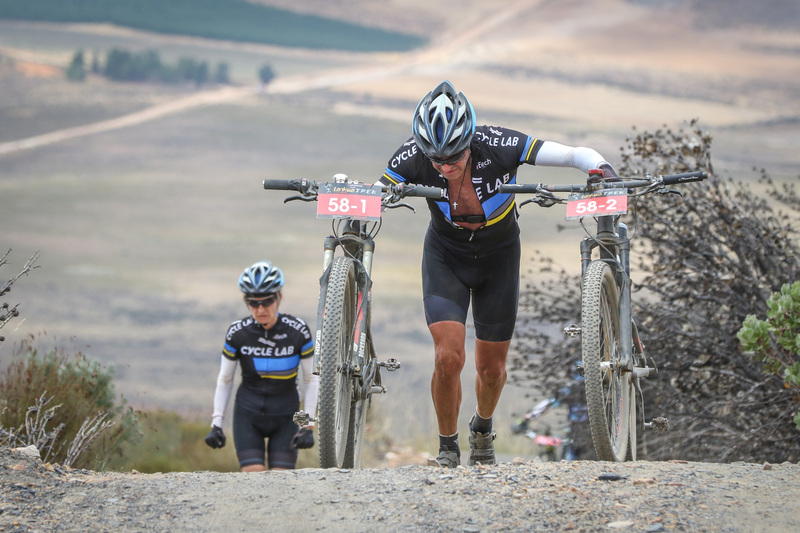 Nic Lemond performs a spectacular unintentional dismount during Stage 1 . Eugene Botha gets near vertical after getting a technical descent a little bit wrong. 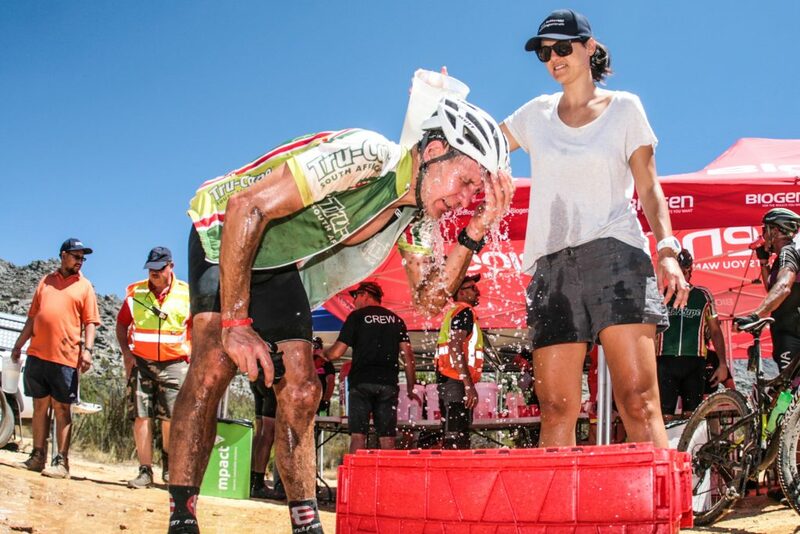 A rider attempts to cool off in the searing heat of the Witzenberg Valley, were temperatures nearly reached 40 degrees Celsius. 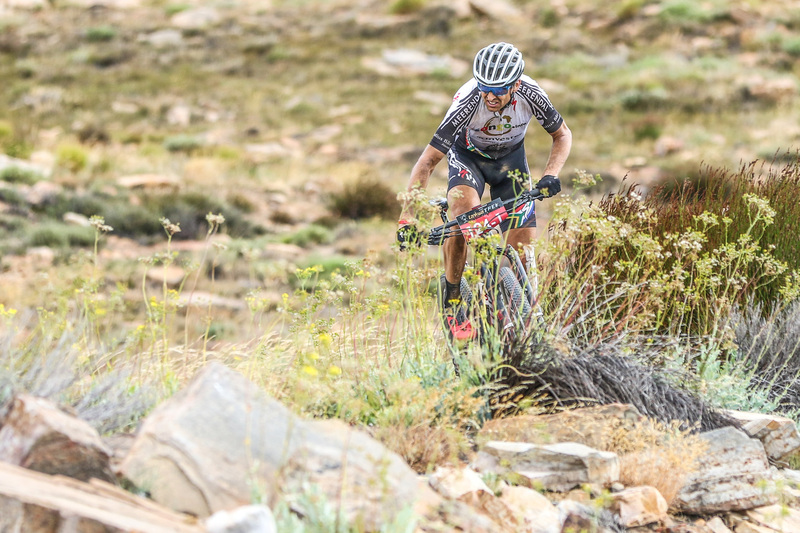 Karl Platt, of Team Bulls, on his way to stage victory during Stage 1. 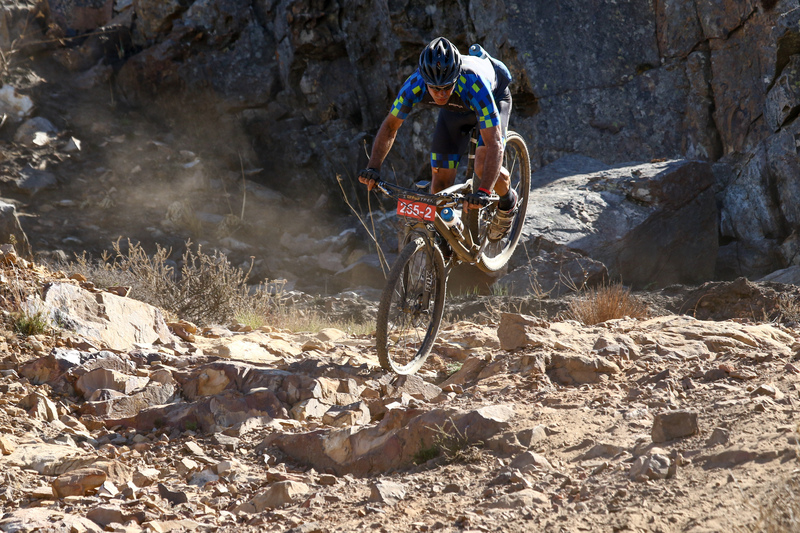 Christoph Sauser climbs the Merino Monster during Stage 2 of the Momentum Health Tankwa Trek, presented by Biogen. 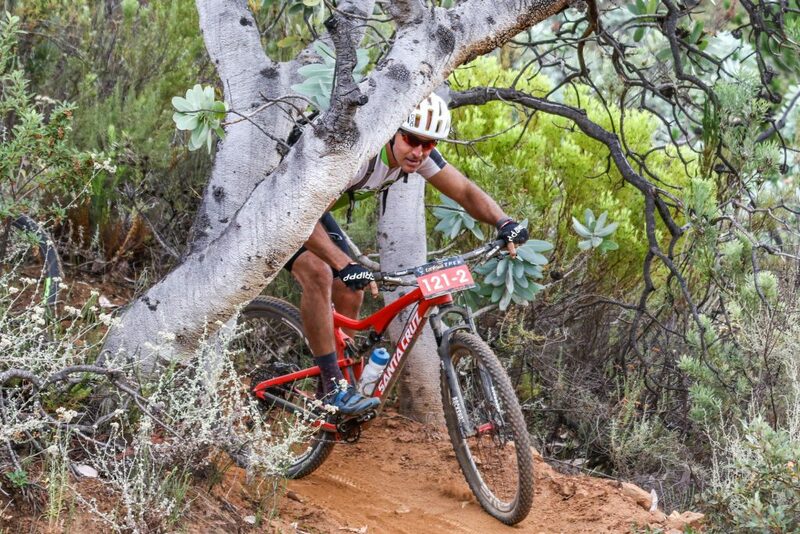 Brendan Dower ducks under the limbs of a Waboom (Protea Nitida) during the DUTOIT drop section of Stage 2. 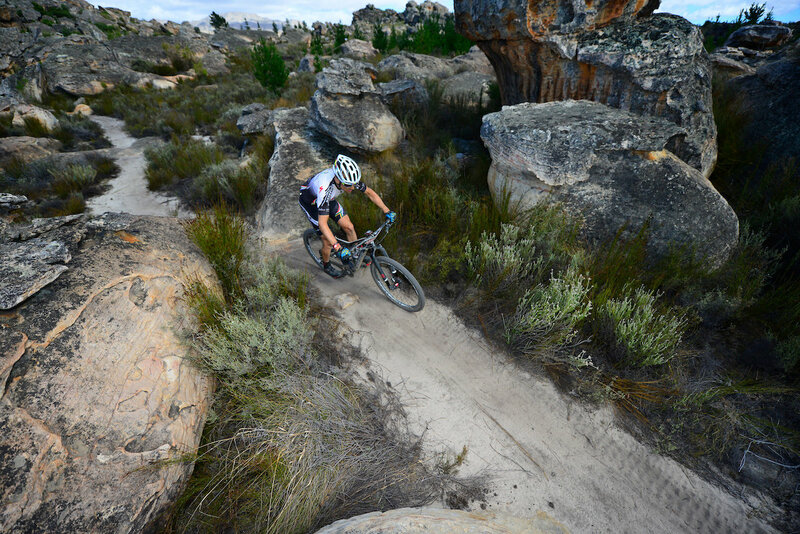 Jarrod Van den Heever shows off his skills as he takes to the air during the DUTOIT Drop singeltrack section. 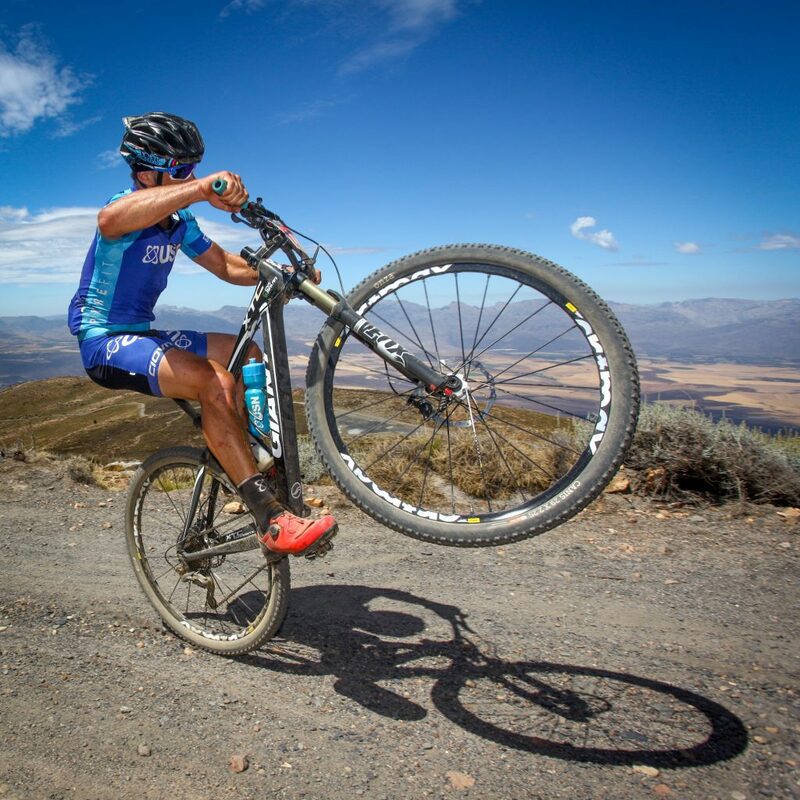 Gys Malan wheelies up the final meters of the Merino Monster climb. 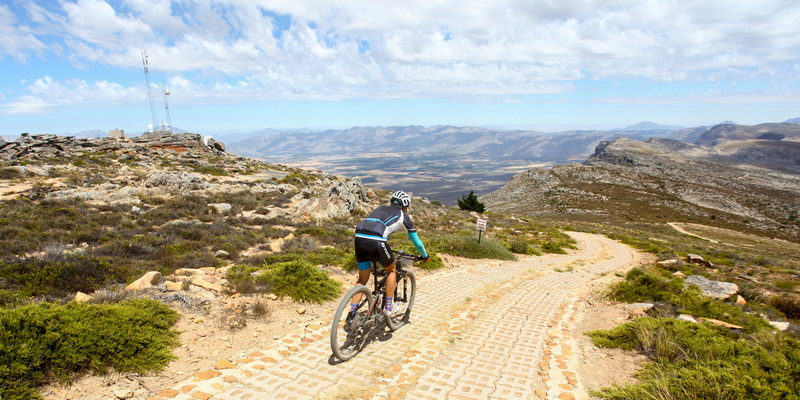 A rider begins the descent from 1850 meters above sea level and the top of the Merino Monster to the Koue Bokkeveld over 800 meters below. 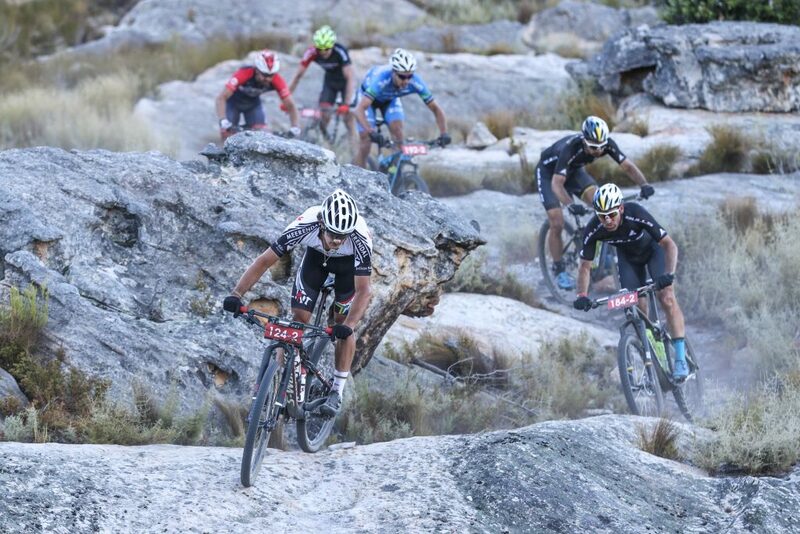 Jeffrey Summers pushes his and Elmarie Steyn’s mountain bikes up the infamous Merino Monster climb. 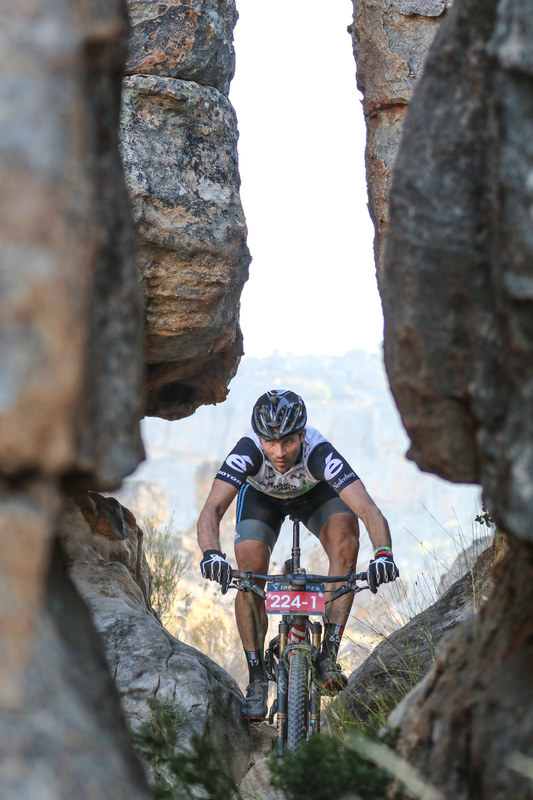 Jampie Vlok cuts between two sandstone stacks during Stage 3 of the Tankwa Trek. Women’s champions Esther Suss (front) and Jennie Stenerhag (behind) race through the Houdenbek singletracks. 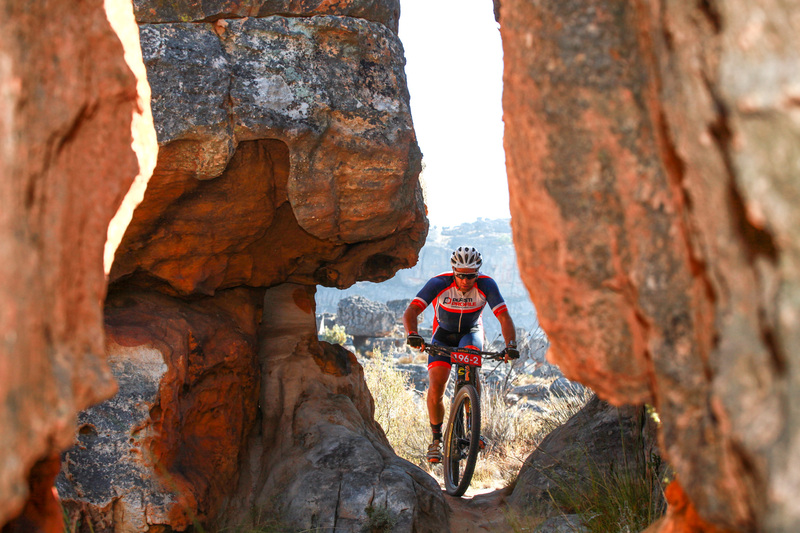 Mark Kapnoudhis winds his way through a sandstone arch. John Konyn threads the ‘key-hole’ during Stage 3 of the Tankwa Trek. 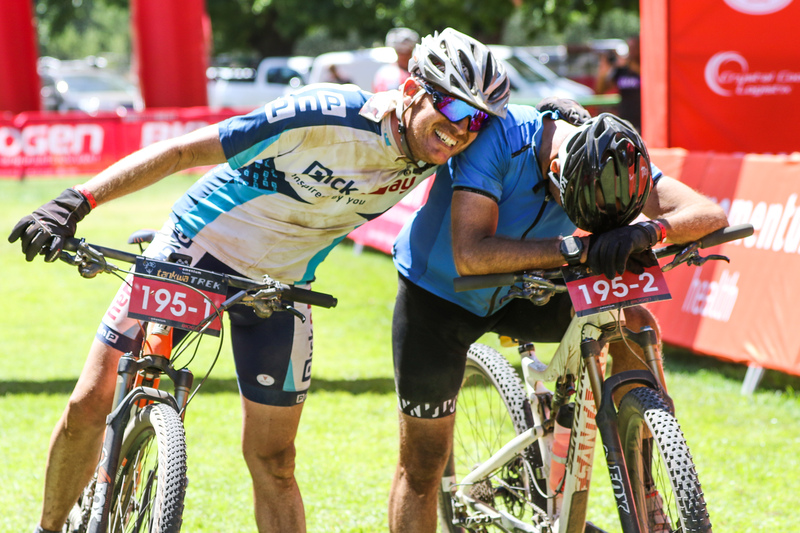 Gareth O’Connell congratulates his exhausted teammate Andrew Soutar upon crossing the finish line of the Momentum Health Tankwa Trek, presented by Biogen, on Sunday the 12th of February 2017.